Another Warriors port for the Nintendo platform. Koei Tecmo has announced Dynasty Warriors 8: Xtreme Legends Complete Edition DX for Switch. It will launch both physically and digitally on December 27 in Japan for 6,800 yen. The digital version will be available at a 10 percent discount price for the first two weeks of release. Dynasty Warriors 8: Xtreme Legends Complete Edition, sans the DX introduced in the title of the Switch version, first launched for PlayStation 3 and PS Vita in November 2013, followed by PlayStation 4 in February 2014 and PC in May 2014. 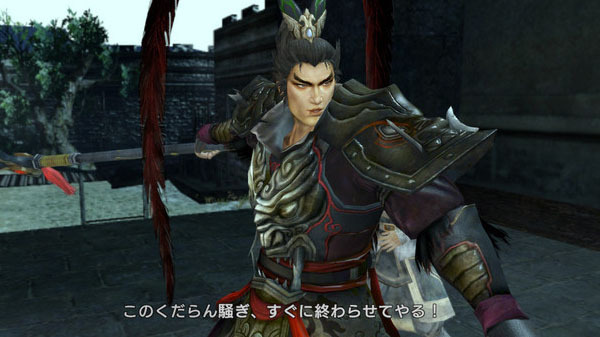 In addition the inclusion of many previously released downloadable content, including scenarios, costumes, and items, Dynasty Warriors 8: Xtreme Legends Complete Edition DX for Switch will be compatible with the save data of other Warriors titles on Switch, including Dynasty Warriors 8: Empires, Samurai Warriors: Spirit of Sanada, Warriors Orochi 3 Ultimate, and Warriors Orochi 4. Details regarding the bonuses obtained for having said data will be announced at a later date. A western release was not announced. It is worth noting that the Switch versions of Dynasty Warriors 8: Empires, Samurai Warriors: Spirit of Sanada, and Warriors Orochi 3 Ultimate, which were released in November 2017 in Japan, were never released in the west.